Reselling used software has always been part of the American way, but an appeals court ruling could change things. The controversial used games and computer software market is unlikely to be shoved off the table anytime soon, but a recent court ruling may challenge the practice in certain situations. On Friday, the 9th Circuit of Appeals ruled in favor of Autodesk in a case where it sought to stop a vendor from selling its software on eBay. Timothy Vernor reportedly bought a copy of Autodesk's AutoCAD at a garage sale and put it up on eBay in 2005. After a back-and-forth between Autodesk and Vernor that saw his auctions removed and reinstated on the website, a legal battle over first-sale doctrine rights in regards to Autodesk software began. The first-sale doctrine is the result of a century-old Supreme Court ruling that allows the purchaser of a product like a book, movie, or videogame, to resell it as long as additional copies aren't made. Autodesk believes the doctrine doesn't apply to its software as it's being "licensed" rather than sold. The recent appeals court decision states that the first-sale doctrine is "moot" if there is no "definitive sale." Vernor's legal team is currently deciding whether or not to appeal the ruling to the U.S. Supreme Court, while eBay has issued statements in support of Vernor. Corynne McSherry, a lawyer for the Electronic Frontier Foundation, says the decision, if upheld, could lead to more software developers "trying to find the magic words that prevent a buyer of intellectual property from being considered the owner." Attorneys involved with the case say it could have a "chilling effect" on the used software market, as the widespread use of licensing agreements "means the infrastructure already is in place for other software makers to say their customers don't really own those programs." 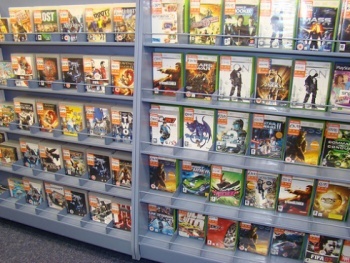 Videogame publishers have almost universally come out against the sale of used games by retailers like GameStop, which basically sell the used copy of their products right next to the new copy. Whether this ruling could have an effect on the used games market or not is unknown, but it seems like just a hop, skip, and a jump away if publishers are able to get clever enough. At the least, reselling certain kinds of used software may just have gotten a lot tougher, but we'll have to wait and see if other software developers and publishers are able to incorporate the "licensing" argument in their products to go against the first-sale doctrine.